Forget Me Not Cottage01263 715779work01603 870304fax Self-cateringForget Me Not Cottage is a sweet, traditional Norfolk Cottage, recently refurbished to a great standard but still maintains it original character and charm. Nestled in the peaceful village of Binham and just a few miles form the popular seaside town of Well-nest-the-Sea. • Luxuries: TVs, Blu ray player, DVD player, CD player, DAB Radio. • Typical of these quaint cottages is a ‘Norfolk winder’ staircase which may not be suitable for anyone with restricted mobility. Forget Me Not Cottage is a sweet, traditional Norfolk Cottage, recently refurbished to a great standard but still maintains it original character and charm. 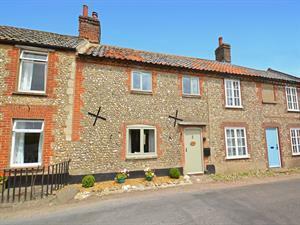 Nestled in the peaceful village of Binham and just a few miles form the popular seaside town of Well-nest-the-Sea.